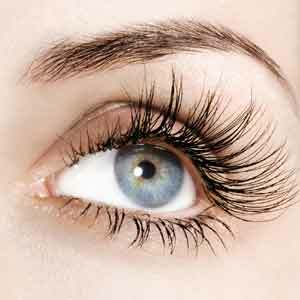 Many people (most women and some men) want to have longer and thicker eyelashes. For this reason, the popularity of eyelash enhancement products is very high, especially the fast or instant options like false eyelashes and lash extensions. The problem is that these options can increase risk of eye infection and other problems. They can even cause premature lash breakages or fall out leaving you with much less natural eyelashes. This is the main reason eyelash enhancers or eyelash growth serums have become the more popular option. Just remember that you can’t just buy the first product you come across. You need to at least learn about the basics of these products before even considering a purchase. Here is a simple guide to help you make the right decision and find the best eyelash growth formulation. What’s in These Eyelash Treatment Products? Eyelash enhancers have different formulations and use varying ingredients. Most formulations contain vitamins and other nourishing agents that strengthen the eyelashes allowing them to become stronger and grow longer without breaking or falling out. You need to scrutinize the active ingredients carefully in order to ensure that the product is really effective and free from harmful effects especially on your eyes and skin. Some products contain potentially harmful ingredients so you really need to be careful in choosing one. Some devious companies are selling eyelash growth treatments that contain dangerous hormone-like chemicals the most common of which are prostaglandins. This is a common ingredient in prescription medications for eye conditions. However, it has the effect of lowering eye pressure, which can be dangerous in some cases. You need to watch out for these products to ensure your safety. The top rated eyelash enhancers are free of such ingredients and only contain natural ingredients that are proven to be effective and safe. The top eyelash enhancers use vitamins, protein complexes and conditioning ingredients strengthen the eyelashes and help them grow longer, thicker eyelashes. The formula is clinically proven to be effective and safe and it is made only from natural ingredients. It stimulates the growth of eyelashes naturally while also helping them grow thicker and longer. This is currently one of the top eyelash enhancement products on the market. 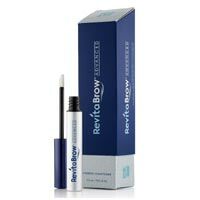 Another lash enhancer worth mentioning is Revitalash which has been available for a while. It is essentially an eyelash conditioner that helps make the lashes naturally thicker and longer. It isn’t as effective as since it doesn’t stimulate the growth of eyelashes so significant results will take longer. 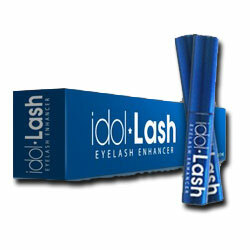 Xlash is also currently very popular because of its effectiveness. However, there are safety concerns regarding the formula, especially because it contains prostaglandin analogues which are banned by the FDA. It claims to be completely safe, but there is clinical evidence that prostaglandin analogues can lead to side effects like eye irritation. Eyelash Growth Treatments: Can They Cause Damage to Your Eyes? Eyelash enhancers that contain prostaglandins and other chemicals are banned by the Food and Drug Administration for safety reasons. This is because these formulations can cause eye problems and even leads to eye damage and cause vision problems. Safety should be your top priority when you’re looking for an eyelash growth treatment formula. Always check if each of the ingredients in the formulation of an eyelash enhancer is clinically proven to be safe. Also, check if the formula itself is substantially proven to be free of side effects. Currently, there is an eyelash enhancement treatment approved by the FDA. The product is called Latisse, but due to the high risk of side effects, it cannot be prescribed to everyone who wants to have naturally longer and thicker eyelashes. Among the side effects is that it can darken the eyelids and turn the user’s eye color into a dark brown shade. Many users also experience eye irritation from the treatment. In conclusion, you have to be very cautious when you’re in the market for an eyelash enhancer. It is an option to try to get a prescription for the FDA-approved eyelash enhancer. Just remember that it is potentially dangerous and can cause side effects to many users. If you want a product that is as effective and completely free from side effects, it would be best to research carefully and look for eyelash enhancers that are clinically proven to be highly effective and completely safe.